Volo’s Guide has everything you need to survive the deadly monsters lurking within. Let’s talk about monsters. Not monstars (the terrifyingly effective b-balling warriors from 1996’s seminal classic: Space Jam), monsters–the terrifyingly effective things your GM keeps throwing at you and you keep turning into XP. Volo’s Guide to Monsters is, as you might imagine, full of monsters. 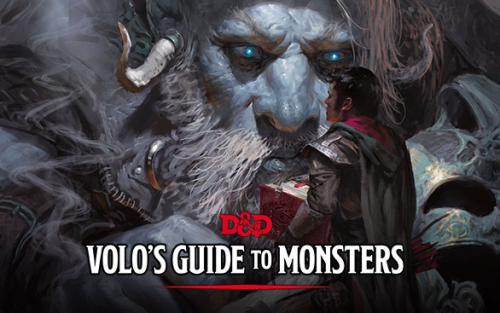 With more than 120 new monsters, and 13 new player options, Volo’s Guide has something for everyone, players and GMs alike. It’s also the first big non-campaign book for 5e, which I’m super excited about. Volo’s Guide has a lot to offer. As mentioned, there are a ton of new monsters in the book, including variant orcs, kobolds, and the like, as well as previously-absent favorites like the Froghemoth and the FLAIL SNAIL (I didn’t say they were your favorites); but there’s also ton of stuff that adds an extra layer of depth to some of D&D’s iconic monsters. Monster Lore, the book’s first chapter, is an expanded look at nine different iconic monsters. 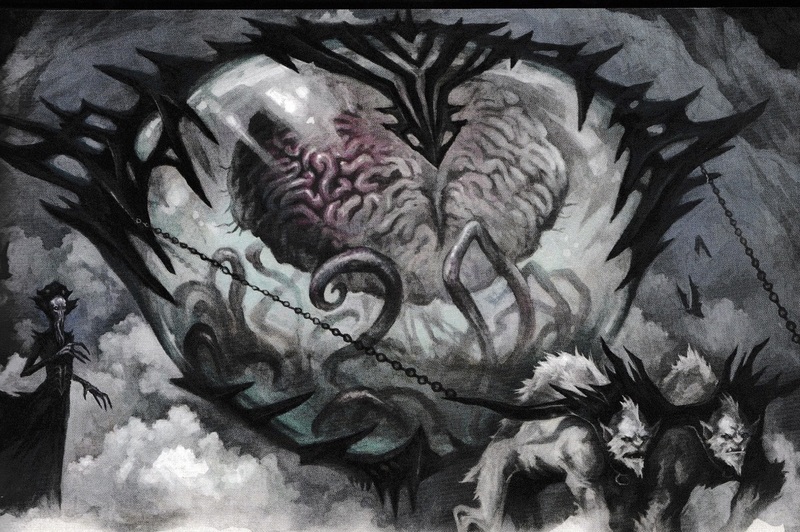 Beholders, Giants, Gnolls, Goblinoids (Goblins, Hobgoblins, and Bugbears), Kobolds, Mind Flayers, Orcs and the Yuan-Ti all get an in-depth exploration in this chapter. Let’s take a quick look at one of my favorites, the Yuan-Ti. 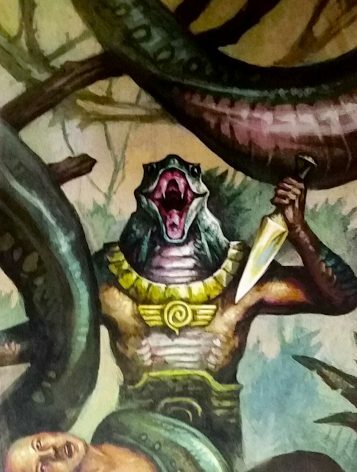 Yuan-Ti have always had a pulpy, Frazetta-era feel to them. They’re human enough that you can encounter them anywhere, with just enough of that reptillian alienness that makes them great antagonists. Volo’s Guide takes that idea and runs with it, offering up a look into how they might fit in your campaign. Their background gets expanded: descendants of an ancient human empire, corrupted by dark gods and cannibalistic rituals that twisted them into serpentine creatures. The book goes through their origins, the fall of their empire, their cold serpentine gods, and gives you a look at their society–a rigid caste system of slavers and cultists. Acid Slime (Abomination, Anathema, or Malison only). As a bonus action, the Yuan-Ti can coat its body in a slimy acid that lasts for 1 minute. 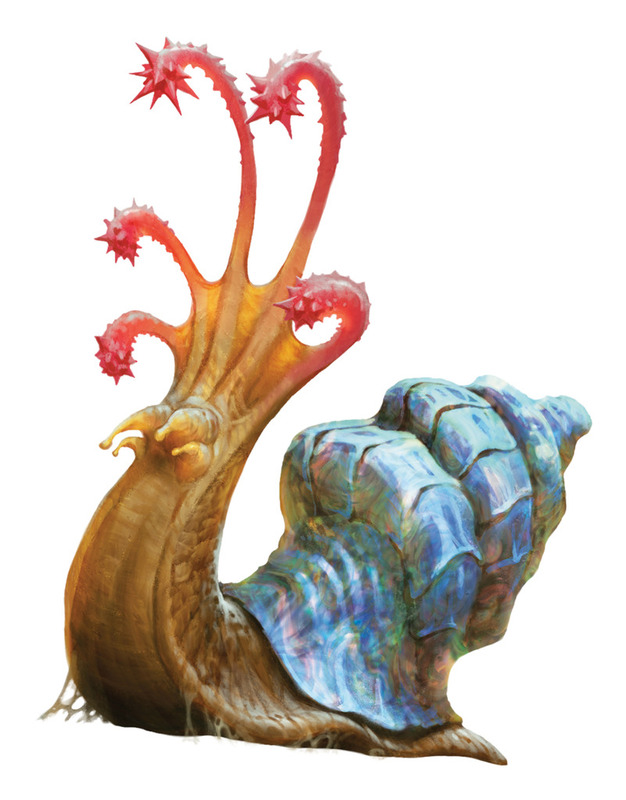 A creature that touches the yuan-ti, hits it with a melee attack while within 5 feet of it, or is hit by its construct attack takes 5 (1d10) acid damage. Sticks to Snakes (Abonimation or Malison only; Recharge 6). The yuan-ti transforms a pile of sticks, arrows, or similar sized pieces of wood into a swarm of poisonous snakes. The swarm acts as an ally of the yuan-ti and obeys its spoken commands The swarm remains for 1 minute, after which it turns back into the original materials. Each featured monster gets options like these that you can use to customize your encounters and keep things from getting too familiar. And they help reinforce how the monsters feel. 5th edition is big on mechanics reinforcing flavor, and vice versa. 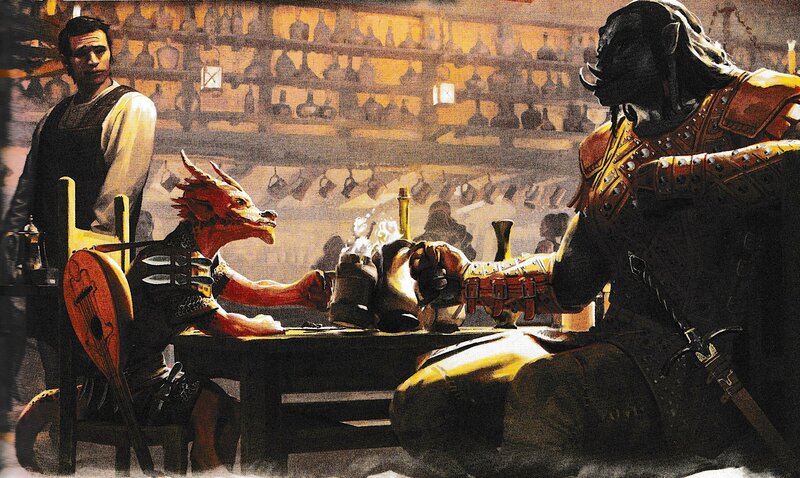 Player Races details 7 new (to 5e) player races: Aasimar, Firbolg, Goliath, Kenku, Lizardfolk, Tabaxi, and Triton; as well as providing rules for six “monstrous adventurers:” Bugbears, Goblins, Hobgoblins, Kobolds, Orcs, and Yuan-Ti. Each of the new player races gets the PHB treatment. You get the same name guides, behavioral suggestions, and tables to roll on that you’re used to. The flavor and mechanics combo is strong here. Take the Kenku: reimagined in 5th edition as a cursed race of bird people who lost their wings, creativity, and voices after their race committed vague betrayal in the past. Now, Kenku don’t speak, but rather imitate the sounds they’ve heard to emulate speech. Mechanicswise, this shows up as a trait called Mimicry, which lets Kenku imitate any sound they’ve heard (the only way to tell it’s an imitation is by making a successful Insight check against the Kenku’s Deception check). This lets them speak but also gives clever players a couple of cool tricks to try. 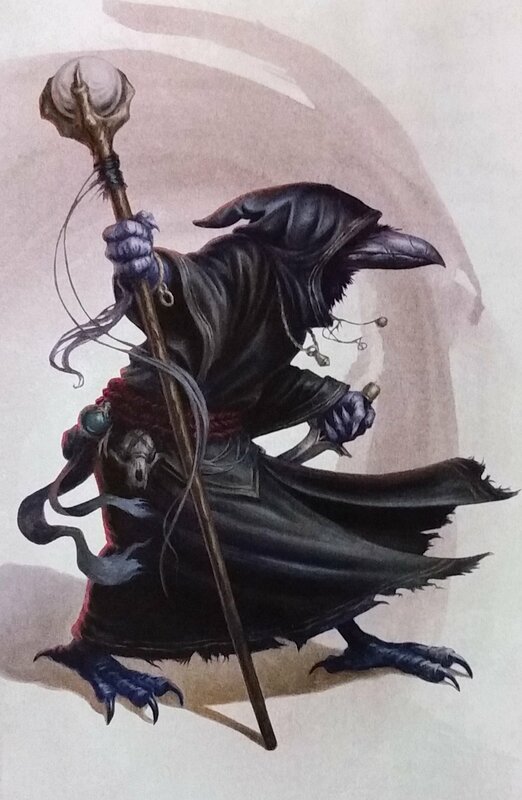 Picture a Kenku rogue hiding out, listening to a couple of unsuspecting guards talk about their life choices, then turning around and using that same conversation to sneak past another group of guards later in the dungeon. Or turning casual conversation with a powerful noble into “let them have my treasury,” later. And of course, if you pick one of the monster races, you have all the expanded background to guide you in making a new character. 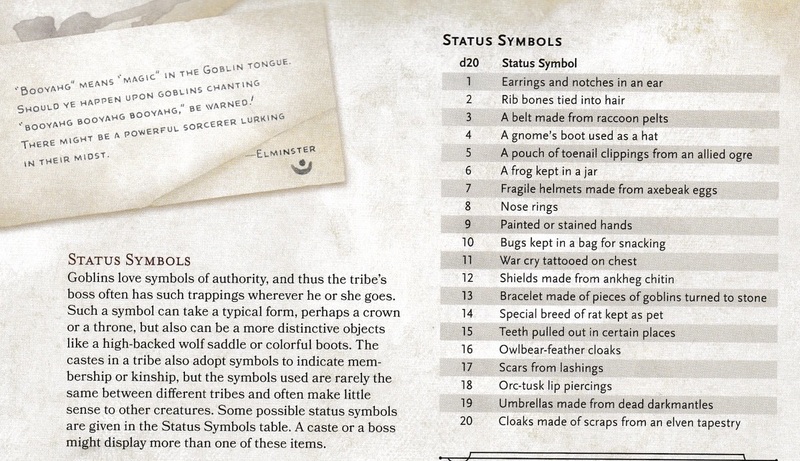 Including my absolute favorite table in the whole book: Goblin Status symbols. Monsters, of course, is the main event. This is where the book shifts into full on Monster Manual mode, with 127 additional monsters ready to go. Here they double down on the “featured” monsters from earlier. There are new beholders, goblins, orcs, etc. Also present are a few missing favorites, like the Devourer, the Kirin, and the Spawn of Kyuss (are they hinting at more Greyhawk content here?!?) And of course, there are all the “helpful” notes from Volo and Elminster, which add a nice touch to the way the book reads. All in all this is a pretty solid book with a lot going for it. Not all of it will be useful to everyone at once–if you’re primarily a player there’s really only the one chapter for you. And people who are just looking for monsters won’t find as many as in the Monster Manual, especially given the book’s price tag. If you’re looking to make your own campaign or encounters, though, this is the book for you. 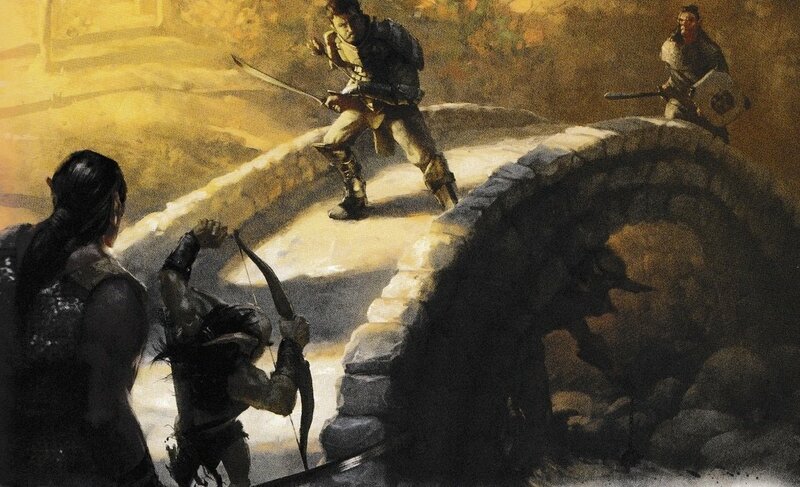 And, it does the one thing every good D&D book should–makes you want to go out and play. This is the first book in a while that hasn’t had a campaign behind it. What do you think of this trend? What kind of stuff would you like to see from future supplements? Let us know in the comments. *Waiting until the last possible minute to flip through the monster manual. **Just breaking the spirit of them. And the rest of the group.